This appeared in the 2018 Garden Party program. William King’s service to his community extends back to his service to our country as a U.S. Army soldier in Korea. 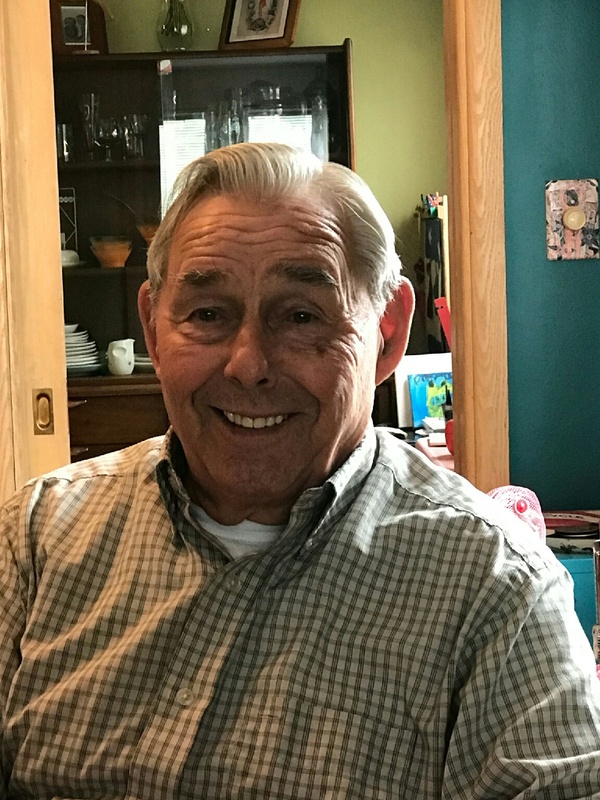 Raised in West Valley, he returned from military service and began a long career as an IBEW electrician—now a 58-year member. He started with Dobkin and Gold Co. in 1960 and after four years as an apprentice, went on to spend 29 years on construction and renovation projects throughout Western New York. From there, he was an electrical inspector for the New York Board of Fire Underwriters for Erie and Cattaraugus Counties for 10 years. His involvement with Bertrand Chaffee Hospital can only be described as extensive and fundamental. He joined the hospital’s board of directors in 1972, the same year he was elected as president of the West Valley Volunteer Hose Company. Between then and 1992, he was an integral part of expansion and construction projects for the facility. His call to service did not end there, as he became the town supervisor for Ashford in 1992, continuing for several terms, and he has been the town’s budget officer for 28 years and counting. In 1997, he came back into the Bertrand Chaffee fold as a member of the then-new BCH Foundation, where he has remained a strong presence for the past 21 years, now as president. During his tenure on the board and foundation board, he served as president for the majority of his terms. He and his wife, Carol, divide their time between West Valley and a home in Florida. We thank Bill for his unwavering support of our hospital, his belief in our mission and his commitment to making our community a better place. The name “Cordelian” has a meaning of social, educational, charitable and creative; looking deeper into its language roots, the “cor” has a meaning of “heart” in Latin. That’s where we get words like “cordial” and “encourage,” and the word “Cordelian” is completely appropriate to describe our local ladies’ organization that has supported our hospital and nursing home with such warmth and generosity since our very beginnings. The Cordelian Club formed in 1937 by a group of local women in business, who had to be under 30 years old. That early requirement has changed, and today the club is proud to have members ranging from their 30s into their 70s. This group meets monthly to gather and learn, and also to plan their major, annual event, the Dance. This fundraising event has a long history as a popular tradition in Springville. With contributions to Bertrand Chaffee Hospital and the Jennie B. Richmond Nursing Home that range in the tens of thousands of dollars, this group has been a part of the facility’s major renovations and significant equipment purchases over the years. Once a year, current Cordelian members have the opportunity to present names to be considered for membership, and are accepted with the expectation that they will continue the strong foundation of friendship, fun and community on which the group is built. The Cordelian Club also gives a $100 savings bond each year to an outstanding SGI high school student, and an annual gift to the Girl Scouts of America in Springville. Their actions represent a true community spirit and love for their neighbors. A warm and welcome thank you to everyone who participated in the Bertrand Chaffee Hospital Foundation’s fifth annual Garden Party on May 25. Our celebration of the career of Darlene Schrantz, RN and the life of William McMahon, MD was made possible by a friendly and loving crowd, some of whom were able to share remarks about their work with these two tremendous healthcare professionals. Peony sponsors included Stansberry and Knight Physician Assistants and the Bertrand Chaffee Hospital Medical Staff. Iris sponsors were Arcade-Springville Dental Arts Group, Nils and Erika Gunnersen, Mercy Flight/Mercy EMS, Craig and Tanya Helms, ACM Global Laboratories and Voya Financial. Rose sponsors: 2121 Main Street Pharmacy, Eaton Office Supply, Fiddler’s Green Manor, Freed Maxick CPAs, Julie’s Pizzeria, Fred and Darlene Schrantz, Roger and Margo Soricelli, Springville Door and Window and STC Construction. Ivy sponsors: AllPro Parking, Kelly O’Neal Adams, Patrick Hurley, MD and Susan Fischbeck, MD, Grover and Elizabeth Riefler, and WNY Imaging. We are grateful for the entertainment provided by the Springville Jazz Orchestra and its conductor, William Cocca, and for the wine tasting station donated by Empire Merchants North. Proceeds from this event will go toward the purchase of a transesophageal echocardiogram for the BCH Heart Center. Cardiologist Dr. Thomas Smith was kind enough to describe the benefits and need for this equipment to assembled guests. Thank you for the support for our foundation and our “Gem on the Hill” from the hospital and nursing home employees, medical staff, board of directors and most importantly our community. The Bertrand Chaffee Hospital Foundation met on May 1 for its quarterly meeting. The foundation board re-elected its officers: President William King of West Valley; Vice President Mary Kwiatek of Springville; Secretary David Batterson of Springville; and Treasurer Claudia Miller of Arcade. The group re-appointed four members to three-year terms: Batterson, Kwiatek, Grover Riefler and Stanley Handzlik. And, Brandon Frank and Kathleen Paszkiewicz were re-appointed as employee representatives from BCH and the Jennie B. Richmond Nursing Home, respectively. The board reviewed activity from donors and supporters for the first four months of 2017. The group agreed to put funding towards equipment purchases for the Surgical Center and acute care (second) floor. In addition to an anesthesia machine for surgical cases, the foundation will fund a new inpatient bed, upgraded vital signs equipment and technology equipment for nursing staff. The new inpatient bed is made possible from a gift to the BCH Foundation from the Springville-Griffith Community Education Foundation. The board looked ahead to its Garden Party, on May 25, where it will celebrate the career of Darlene Schrantz, RN and honor the memory of Dr. William McMahon. Funds raised on May 25 will benefit the BCH Heart Center. More information is available by calling Kara Kane at (716) 592-2871 ext. 1485. The Bertrand Chaffee Hospital Foundation will hold its fourth annual Garden Party fundraiser on May 26 at the Springville Country Club. This year’s event is held in memory of Paul Randall and John Frank. Each of these gentlemen passed away in 2015, and the Foundation board chose to honor their contributions to the hospital by celebrating their lives at this annual occasion. Mr. Randall was a Bertrand Chaffee Hospital board member and served as its president. Mr. Frank was a long-time employee for BCH and the Jennie B. Richmond Nursing Home, serving as the facilities manager. Funds raised on May 26 will go toward an anesthesia machine for the ambulatory surgery department. The Garden Party starts at 5 p.m. and concludes by 8 p.m. The Springville Jazz Orchestra and Mike Nugent Entertainment will perform throughout the evening. The Garden Party began in 2013 as a way to honor the memories of Dr. Craig Wiede and Dr. Richard Nowak, two individuals who served as hospital board volunteers for many years. In 2014, the Foundation paid tribute to Dr. Clinton and Mary Strong, who were committed volunteers in this community and at the hospital. Last year, Teresa Kessler, R.N. and George Vasiliauskas were honored for their service to patients and the facility. Tickets are $50 each or $80 per couple. For tickets, information and sponsorship opportunities, call the Bertrand Chaffee Hospital Foundation at (716) 592-2871 ext. 1485 or email Kara Kane at kkane@bch-jbr.org. Bertrand Chaffee Hospital has received many inquiries from the community regarding funding through the Essential Health Care Provider Support Program. The full text of a recent notice we have placed in local newspapers follows, and it includes a map that shows the distribution of state funds in the eight counties of Western New York. Bertrand Chaffee Hospital has received many inquiries from the community regarding funding through the Essential Health Care Provider Support Program. Unfortunately, BCH learned on March 4 that the New York State Department of Health has denied our application. With several hundred rural hospitals across the United States facing bankruptcy or closure, Bertrand Chaffee Hospital is in a precarious position. We emerged from financial difficulties of 2008 through smart decisions by our board and leadership team. And with strong community support, BCH established a Primary Care Center and Heart Center as key parts of a long-term plan that emphasized financial stability and deliberate growth. However, BCH’s continued survival is not guaranteed – especially when faced with an unequal distribution of state tax dollars. In late 2015, New York State Department of Health announced the availability of funding through the Essential Health Care Provider Support Program. This $355 million award was distributed across the state to healthcare facilities that are deemed to be essential. There was a sense of excitement from BCH, as this award represented a significant opportunity for state funding over the next three years. BCH has not received NYS Department of Health financial support since 2008. BCH submitted a $7.6 million project, noting that the application suggested that projects under $25 million would be prioritized. The plan outlined would address critical facility maintenance projects, develop space for specialty medical practices, expand primary care space, and upgrade our imaging technology and equipment. Each of these initiatives would have enhanced local access to essential healthcare services for our neighbors. Though the rejection of our application by the NYS Department of Health was disappointing, we want to emphasize that we are doing everything we can to ensure the future of local healthcare for residents of southern Erie, northern Cattaraugus and Wyoming counties. That will include pursuing NYS support and continuing to educate our patients, our community, and our local and state representatives about the importance of rural hospitals like ours. We thank you for your support and we are proud to be your hospital. For more information about how you can support BCH, contact our community relations office at (716) 592-2871 ext. 1485 or email comments to myhospital@bch-jbr.org. Continue to follow our work here on our web site or sign up for our email newsletter at the top of this page. Volunteers from the Bertrand Chaffee Hospital Women’s Association coordinated their annual basket raffle on Saturday, April 16 at the Concord Town Hall. Nearly 200 baskets were on display for a crowd of community members, volunteers and employees from Bertrand Chaffee Hospital. Since 1996, this group has raised and contributed about $200,000 in support of projects and equipment at Bertrand Chaffee Hospital and the Jennie B. Richmond Nursing Home. The ACR Lung Cancer Screening Center designation is a voluntary program that recognizes facilities that have committed to practice safe, effective, diagnostic care for individuals at high risk for lung cancer. Bertrand Chaffee Hospital is one of about 110 facilities in New York State to achieve this designation. Lung cancer screening with low-dose computed tomography (CT) scans, and appropriate follow-up care, significantly reduces lung cancer deaths. Lung cancer is the nation’s leading cancer killer, taking the lives of more people each year than breast, colon and prostate cancers combined. Our Imaging Department encourages individuals who meet any of these risk factors to talk to their healthcare provider about recommended screenings and imaging studies. Call (716) 592-8169 for an appointment. Bertrand Chaffee Hospital will host the American Lung Association’s (ALA) “Freedom from Smoking” program during 2016. ALA-certified instructors will present this eight-session program on Tuesday evenings from 6 – 7:30 p.m. starting on May 3 and concluding on June 14. This program is designed for adult smokers and features step-by-step plans to help smokers gain control over their behavior. Cigarette smoke contains cancer-causing chemicals and can lead to lung cancer, chronic obstructive pulmonary disease (COPD), chronic bronchitis and emphysema. Smoking is a behavior that negatively affects nearly every organ in the human body. It is also a cause of heart disease and stroke. Bertrand Chaffee Hospital is a participant in the Disney Hospital Care Package Program. This initiative brings new toys and books to hospitals all over the country, and has impacted an estimated 9.8 million lives since its inception in 2012. The hospital also uses Disney items when donating baskets to local events, including the upcoming BCH Women’s Association basket raffle on April 16 at Concord Town Hall. Beginning April 6, Bertrand Chaffee Hospital will introduce the Leg Pain and Vascular Center. This expansion of vascular services will complement the services currently offered by the Heart Center on the hospital’s first floor. Vascular services include non‐invasive tests like ultrasounds of the leg arteries, carotid arteries and renal arteries. These tests offer a thorough diagnosis for reduced blood flow, which is caused by arterial stenosis, and can cause leg pain and ulcerations. Patients who are experiencing leg pain, leg swelling or non‐healing wounds can call to learn more about the Leg Pain and Vascular Center’s services. “People who have problems walking because of leg pain or ulcers can benefit from minimally invasive and non‐surgical techniques to improve their symptoms and heal their wounds,” said Dr. Henry M. Meltser, who has worked with BCH to design and coordinate the new center. Dr. Meltser is an interventional vascular specialist who is board certified in three separate specialties. His training included clinical residency and fellowships at the University of Rochester and Indiana University. Patients who are interested in learning more about the new Vascular and Leg Pain Center can call (716) 592‐9644. The Bertrand Chaffee Hospital Foundation will participate in “Spring It On,” a 24-hour online fundraising event on March 24-25. Created and powered by the United Way of Buffalo & Erie County, more than 250 local non-profit agencies are expected to participate this year. “We’ve been taking small steps into the world of online fundraising, starting with our PayPal donation option for last year’s annual appeal,” said Kara Kane, development coordinator. “This activity is a great reminder for our supporters that their hospital is here, every minute of every day, for their health needs. The BCH Foundation has set a financial goal of $500, but another important aim is participation. “To have dozens of our neighbors join in this campaign, just for one day, will be a bonus and benefit for one of our departments,” Kane said. The BCH Foundation will use its Facebook page [www.facebook.com/bchspringville] and email newsletter to reach current supporters and cultivate new ones as part of Spring It On. Donate directly at www.bertrandchaffee.com/springiton. BCH Foundation representatives met with members of the Felton-Burns VFW Post 5260 in March to present a plaque commemorating their gift toward the Jennie B. Richmond Nursing Home in memory of William J. Weismantel. Mr. Weismantel was a charter member of the Springville VFW post, and an active participant in many other civic activities that benefited the Springville area. Thank you to this local chapter for supporting local healthcare and an improvement to the Jennie B. facility. From left: Stanley Handzlik, BCH board member and BCH Foundation board member; Bob Bieber; Jerry King; Roy Gill, Felton-Burns VFW Post 5260 senior vice president; Arthur A. Arnold, VFW auxiliary; Mary Weismantel Truxal; Roger Soricelli, JBR administrator; Beverley Stockwell; Kathy Paszkiewicz, BCH Foundation; and, Sandi Ferguson, VFW auxiliary. If you noticed an unusual number of people at Bertrand Chaffee Hospital and the Jennie B. Richmond Nursing Home wearing blue on Friday, March 4, here is the reason why: wearing blue is part of a national campaign by the Colon Cancer Alliance to raise awareness about this detectible and treatable disease. Dozens of BCH and JBR employees took part in this activity to draw attention to colorectal cancer and the importance of regular screenings. The ambulatory surgery department, which sees patients for screening colonoscopies during the week. Colorectal cancer is the second leading cause of cancer among cancers that affect men and women, and screenings are recommended for adults over the age of 50 or earlier, depending on family history. Check with your healthcare provider to see what screening schedule is right for you. Bertrand Chaffee Hospital’s ambulatory surgery department works with local surgeons to perform routine colonoscopies as part of regular screenings for colorectal cancer and pre-cancerous polyps. For more information, call (716) 592-2971 ext. 1470.
he Cordelian Club held its annual dance on Saturday, February 27 to support Bertrand Chaffee Hospital. With its 1980s theme, more than 175 guests showed up with bold fashion choices and big hair, ready for the danceable songs from the best of pop, rock ‘n roll and hip-hop from DJ Rick Manzone. Continuing its activities for American Heart Month in February, Bertrand Chaffee Hospital will host a Heart Health Open House on Wednesday, February 24 in the Heart Center. Stop in between 10 a.m. and 2 p.m. to receive a blood pressure screening and material about cardiovascular conditions, our cardiac rehab program and the BCH Heart Center, which is located on the first floor of the hospital. Bertrand Chaffee Hospital established its Heart Center in 2012 in response to community demand for cardiology services. For more information, call (716) 592-9644. In February, Bertrand Chaffee Hospital celebrates the 30th anniversary of its Cardiac Rehabilitation program. This occasion coincides with American Heart Month, held each February, and is part of a national effort to prevent heart attacks and strokes while raising awareness about heart-healthy behaviors. It also aligns with Cardiac Rehabilitation Week, which begins this year on February 14. Cardiac rehabilitation is one course of treatment available to patients who have had a heart attack or surgery, a heart or lung transplant, or other cardiac condition. When managed by health professionals, this specialized form of therapy can improve a patient’s overall health in ways that may prevent future heart problems. A typical cardiac rehab schedule at BCH involves an exercise regimen three times each week for 12 weeks. In consultation with a cardiologist, a cardiac rehab patient works with a team of specialized professionals like dieticians and nutritionists. As patients recover from cardiac events like a heart attack, enrollment in cardiac rehab brings them into a controlled environment with regular monitoring of blood pressure. Trained nurses teach patients how to exercise safely and help in the transition to learning how to exercise safely at home. February is National Heart Month, and associates at Bertrand Chaffee Hospital and the Jennie B. Richmond Nursing Home wore red on February 5 to raise awareness for heart disease and stroke in women. Between the Heart Center — established in 2012 — and cardiac rehabilitation services — which started 30 years ago — BCH has developed health resources that support better heart health for our community. These services, in conjunction with regular visits to a primary care doctor, can help patients reduce their risks for acute or chronic heart conditions. The Cordelian Club is holding its annual dance to support Bertrand Chaffee Hospital. The group selected an 80’s theme, and the event will include a basket auction and a raffle for a “boombox of booze.” Dig deep in your closets and attics to find your favorite fashions from the 1980s! When: Saturday, February 27, 2016 from 8 p.m. – midnight Music and entertainment by Rock & Roll to the Rescue and DJ Rick Manzone. Beer, wine and hors d’oeuvres. Tickets are $35 each and available at BCH, Anything Printed, Cordelian Club members and at the door. The Cordelian Club has a decades-long history of supporting Bertrand Chaffee Hospital with their dance. Past events have helped to fund new “smart” IV infusion pumps, a digital mammography machine, and other hospital equipment. For more information, visit the event page on Facebook at http://bit.ly/Cordelian2016 or search “Totally 80’s Dance Party.” This event is for ages 21 and over. At its first meeting for 2016 on January 11, the Bertrand Chaffee Hospital Foundation board members reviewed its work throughout 2015 and took steps to plan for activities in 2016. Thanks to that community support, the Foundation will fund the purchase of new therapeutic equipment in the rehabilitation services department, materials for diabetic education, and in a major investment, $20,000 toward the replacement of a portable x-ray machine used in the Emergency Department and inpatient floor. An associate scholarship from the Elizabeth Dedrick Scholarship Fund for a medical/surgical nurse to pursue college courses was also approved. Looking ahead to the spring, the Foundation will hold its fourth annual Garden Party on Thursday, May 26 at the Springville Country Club. Honorees will be announced at a later date. Bertrand Chaffee Hospital has added two new members to its Diabetes Education Team. Sheri Plummer, a registered nurse, is an instructor for this program, and is part of the BCH Cardiac Rehabilitation program. Jenni Weisedel will serve as a community advisor, and is part of the BCH registration department. They will add to the experience of this seven-member team, which includes a pharmacist, registered nurse, certified diabetic educator and dietitians. As part of its community outreach, BCH is accredited by the American Association of Diabetes Educators as a diabetic education site. Courses related to diabetes management, gestational diabetes and pre-diabetes are offered regularly throughout the year. BCH also hosts a monthly diabetes support group on the first Monday of every month from 6 – 7 p.m. Plummer will be teaching the Being Active with Diabetes class. The Being Active with Diabetes course will be offered quarterly in 2016, with the first session scheduled for Thursday, January 21 at 10 a.m. This program is adaptable for patients with mobility issues or who are concerned about being able to stand. Students receive an exercise book or DVD, which includes individualized activity plans that are suitable for all activity levels, as well as sit-and-fit exercises. The class outlines how regular activity is important for overall fitness, weight management and blood glucose control. Appropriate activity can reduce risk, improve body mass index, enhance weight loss, help control lipids and blood pressure, and reduce stress. The content also includes how to balance activity with food and medication. Patients must be pre-registered to attend, as insurance authorization is required. Call (716) 592-2871 ext. 1489 to register or for more information. BCH Diabetes Education Team: Dr. Michael Barnett, pharmacist; Jenni Weisedel, community advisor; Kyle Schwan, registered dietician; Elizabeth Cappola, dietetic technician, registered; Kathleen Hebdon, RN, certified diabetic educator; Sherri Plummer, RN, cardiac rehab; and Nancy Fisher, dietetic technician, registered. Cappola, Schwan and Fisher are also certified dietitian nutritionists. Bertrand Chaffee Hospital will host the American Lung Association’s (ALA) “Freedom from Smoking” program during 2016. ALA-certified instructors will present this eight-session program on Tuesday evenings from 6 – 7:30 p.m. starting on January 19 and continuing through March 1. Bertrand Chaffee Hospital coordinates monthly diabetic support group meetings for Type I and Type II diabetics and their loved ones as part of its community education initiatives. Interested individuals are invited to participate in this group to share recipes, coupons and information about topics related to diabetes and health in a supportive and welcoming environment. The group will meet at Bertrand Chaffee Hospital on the first Monday of each month from 6-7 p.m. A Certified Diabetic Educator will facilitate the group, and meetings are free of charge. For more information, call (716) 592-9643. Meetings will be canceled when S-GI schools are closed for a snow day. The topic for the next meeting on January 4 will be Your A1C. Suggested monthly topics going forward include: Managing Diabetes (February 1), Insulin: Not the Enemy (March 7), Healthy Eating (April 4), Being Active [movie] (May 2), Carb Addiction (June 6), (Closed July), Diabetic Journey (August 1), (Closed September), Gluten and Diabetes (October 3), Holiday Eating (November 7), Web Sites and Apps (December 5). BCH’s Primary Care Center will be open Christmas Eve Day (12/24) from 8 a.m.-12 p.m., and closed Christmas Day (12/25).Regular hours will resume December 28, 29, and 30. New Year’s Eve Day, hours will be 8 a.m.-4 p.m. The PCC will be closed on New Year’s Day, 1/1/2016. Our Emergency Department is open 24/7. Please call the PCC office at (716) 592-8140 with any concerns. Daniel Gallaway, chaplain for the Sons of AMVETS Squadron 219 in Boston, presented a check on behalf of that organization to representatives of the BCH Foundation on December 10 in support of its annual appeal. Sons of AMVETS is a nationwide service organization comprised of male descendants of American veterans. As part of the AMVETS family they are united in service and dedicated to improve quality of life, advocate legislation for increased benefits and care, provide and support charitable assistance to veterans, their families, and community. Part of this service is supporting local organizations, like the BCH Foundation, through fundraising events throughout the year. From left: Mary Kwiatek, David Batterson, BCH CFO Teresa Donohue, Daniel Gallaway, Joel Maul, Jessica Sullivan, Grover Riefler, Stanley Handzlik, JBR Administrator Roger Soricelli. The Bertrand Chaffee Hospital Foundation has joined #GivingTuesday, a global day of giving that harnesses the collective power of individuals, communities and organizations to encourage philanthropy and to celebrate generosity worldwide. Occurring this year on December 1, #GivingTuesday is held annually on the Tuesday after Thanksgiving in the United States and the widely recognized shopping events Black Friday and Cyber Monday to kick-off the holiday giving season. This effort is inspiring people to collaborate in improving their local communities and to give back to the charities and causes they support. Those who are interested in being a part of the Foundation’s #GivingTuesday initiative can visit www.bertrandchaffee.com/give. For more details about the #GivingTuesday movement, visit the #GivingTuesday website (www.givingtuesday.org), Facebook page (https://www.facebook.com/GivingTuesday) or follow @GivingTues and the #GivingTuesday hashtag on Twitter. For individuals who have pre-diabetes or diabetes, making good choices at holiday parties and during the winter season can be a challenge. How can you make sure your holiday season is a healthy one? The diabetic education team at Bertrand Chaffee Hospital is sharing the following ideas about starting and maintaining positive and healthy self-management during this time of year. Watch your serving size. It’s ok to enjoy special holiday foods, but do so in moderation. Don’t drink your calories. The palate is the only area of your body that registers taste, so liquids pass through it quickly and you get less enjoyment from liquid than you do foods. Chew your food! The longer you chew, the more your brain receives satisfaction messages, and you will eat less, overall. Don’t skip meals. People who eat regularly through-out the day actually consume fewer calories, because they do not get overly hungry. Modify recipes. Choose better fats and artificial sweeteners. Drink plenty of water. It fills you up and has no calories or carbohydrates. For more information about the diabetes education program at Bertrand Chaffee Hospital, call (716) 592-2871 ext. 1489. At Bertrand Chaffee Hospital Foundation’s fall meeting, board members had a discussion about the annual appeal and other activities on the horizon. Board member Jessica Sullivan had volunteered to chair the donor appeal, and when she went back to her office, Mahoney and Sullivan Financial Group in East Concord, an idea for a strong start to this annual fundraising effort took shape. In picture from left: Bertrand Chaffee Hospital CFO Teresa Donohue, Jeanne Mahoney, Kevin Mahoney, BCH Foundation President William King, BCH Foundation Board Member Jessica Sullivan, BCH Foundation Board and BCH Board Member Stanley Handzlik. Bertrand Chaffee Hospital has announced new additions to its Rehabilitation Services Department. Emily King, DPT comes to BCH with experience working in subacute rehab and in inpatient care at Buffalo General’s Advanced Orthopedic and Spine Center. She grew up on a dairy farm in East Otto and is a graduate of Cattaraugus-Little Valley Schools. She earned a doctorate of physical therapy from Daemen College, and currently resides in Colden with her husband, Jason. Sherry Stevens, PTA is a physical therapist assistant with an associate degree from Genesee Community College. She has worked in subacute and outpatient therapy for five years, including work at the Jennie B. Richmond Nursing Home. She grew up in Arcade and has lived with her husband, Mark, and her son, Jordan, in Sardinia for more than 25 years. Departures of long-time rehab services staff members led to a decrease in available appointments over the past few months. With this increase in rehab staffing, the department is pleased to announce that it will resume services five days per week beginning in mid-September. For more information about the Rehabilitation Services Department at BCH, call (716) 592-2871 ext. 1262. The Bertrand Chaffee Hospital Women’s Association will present its annual Fashion Show on Sunday, September 27 at 2 p.m. at the Springville Volunteer Fire Hall on West Main Street. Now in its 14th consecutive year, the event has a decades-long tradition in Springville throughout the history of this active women’s group. More than 20 volunteers ages five and older will model outfits from TJ Maxx of Hamburg and maurices of Springville. Refreshments, a basket raffle and sale of items from the BCH Gift Shop will be part of this event. The BCH Women’s Association has supported projects and equipment at Bertrand Chaffee Hospital and Jennie B. Richmond Nursing Home through its fundraising events and coordination of the BCH Gift Shop. The group’s most recent donations have gone toward diathermy equipment in the Rehabilitation Services Department, an inpatient hospice room renovation, “smart” IV pumps for the Emergency Department and inpatient floor, and digital mammography. Tickets are $8 presale and available at the BCH front desk, BCH gift shop and Springville Homewear. Tickets are $9 at the door. Call (716) 592-2871 ext. 1485 with any questions. Three local organizations have come together to coordinate a medication management education initiative for Springville and the surrounding communities. Bertrand Chaffee Hospital, Healthy Community Alliance (HCA) and Spring Creek Pharmacy will collaborate on outreach to older adults and their caregivers to reduce the risks associated with managing multiple medicines. Studies reveal that most older Americans who live with at least one chronic condition – like arthritis, heart disease or diabetes – take multiple medicines, consult several healthcare providers and use more than one pharmacy. These factors, in addition to age-related changes that affect the way certain drugs work in the body, as well as important communication gaps about medicines between patients and their providers, set the stage for potentially serious drug-related problems, including additional illness, hospitalization and even death. Healthy Community Alliance received a grant from the Health Foundation for Western and Central New York for this initiative and looked to find local partners to help with outreach and events for the MUST for Seniors™ program. This interactive program gives older adults and caregivers the tools and know-how to avoid medication misuse, recognize and manage common side effects, and improve medicine use knowledge, attitudes, and skills to avoid medication errors. Another component of this initiative is the involvement of the University of Buffalo School of Pharmacy and Pharmaceutical Sciences who provide training in Medication Therapy Management (MTM) and MTM clinics. “MTM services will provide my customers with the knowledge needed to safely manage their medications,” said Spring Creek Pharmacy’s owner, David Williams, who recently completed MTM training. Events this fall include a MUST for Seniors™ presentation and MTM clinic where individuals can have prescriptions reviewed by pharmacists and trained pharmacy students from the University at Buffalo. These events will be presented through SCENe, the Springville Concord Elder Network at the Concord Senior Center, 40 Commerce Dr. Springville, NY 14141. -MUST for Seniors™ presentation – Thursday, September 24, 2015 from 1-2 p.m.
-Medication Therapy Management (MTM) Clinic – Thursday, October 8, 2015 10 a.m.-12 p.m.
Meet with a pharmacist or pharmacy student to review current medications. For more information or to register for these events, please contact SCENe at (716) 592-2768. The materials being used come from the National Council on Patient Information and Education, which produced the Medication Use Safety Training for Seniors™ (MUST for Seniors™). This is a national education awareness campaign to promote safe and appropriate medicine use among America’s older adults. Materials are available at www.mustforseniors.org. HCA will also be working with Tri-County Family Medicine Associates and Valley Pharmacy in the Gowanda community on this initiative. This outreach is supported by a grant from the Health Foundation for Western and Central New York. The Health Foundation is a non-profit private foundation the mission of which is to improve the health and health care of the people of Western and Central New York. Eight volunteers from Mentholatum Company in Orchard Park participated in the United Way of Buffalo and Erie County’s 2015 Day of Caring on August 19. This group was part of an effort by 3,200 local volunteers to give back to area non-profits through a dedicated day of service. The Mentholatum employees teamed up to mulch, weed, sand and paint exterior areas of the hospital, nursing home and Memorial Garden. Mentholatum has been a part of the Day of Caring for many of the past sixteen years. Thank you to this fantastic group of community-minded volunteers! Mercy Flight WNY broke ground on a new helicopter hangar to be located next to its existing helipad behind Bertrand Chaffee Hospital on August 18. The 60×60 foot hangar will serve as a future base for the not-for-profit air medical transport program. With existing bases in Buffalo, Batavia and Olean, the construction of the Springville hangar will allow Mercy Flight to position its aircraft and flight team assets closer to rural communities resulting in improved response times. Congratulations to the most recent class of Certified Nursing Assistants. These six individuals participated in a six-week program through the Jennie B. Richmond Nursing Home. The next classes for fall are nearly full. This is a six-week program with 18 classes, and the classes generally begin every other month. Individuals with experience in healthcare, community volunteering, home health aide work, or caring for loved ones at home are encouraged to apply. Anyone interested in participating in future courses and training can visit the JBR CNA Careers page to learn more about our program. Jennie B. Richmond Nursing Home has announced the appointment of Dr. Priscilla Dale as medical director for the facility as of September 1. Dr. Dale has been a volunteer medical director for JBR for several years. This continued, strengthened partnership brings Dr. Dale to a more active and formal role with JBR residents, staff and administration. “With our growing short-term rehab program and the intensive medical needs of some of our long-term residents, we welcome the addition of Dr. Dale to our clinical team,” said Roger Soricelli, JBR administrator. Patients of Dr. Dale who are seeking a new primary care provider can call (716) 592-8140 to establish themselves as a patient of the BCH Primary Care Center. On August 18, Mercy Flight WNY will break ground on a new helicopter hangar at Bertrand Chaffee Hospital. This 40×60 ft. building will be adjacent to the existing helipad at the hospital. Mercy Flight has provided independent, non-profit emergency transport service to Western New York for more than 30 years. Springville and Bertrand Chaffee Hospital were the site of Mercy Flight’s first transport in 1981. Community members and friends of the hospital and nursing home are welcome to join Mercy Flight and BCH at a groundbreaking event at 10 a.m. on August 18. Contact Kara at kkane@bch-jbr.org or (716) 592-2871 ext. 1485 with any questions. A registered nurse at Bertrand Chaffee Hospital will become the Buffalo chapter president for the American Association of Diabetic Educators, and will also join the state’s coordinating body for this national organization. Kathleen Hebdon has worked to restart the Buffalo chapter for the American Association of Diabetic Educators, and will serve as the group’s president. With this role, she will be a member of the New York State Coordinating Body for the organization. Hebdon is a bachelor-prepared registered nurse who has worked at BCH for 18 years. She is enrolled in a master’s degree program for clinical nurse specialist with a focus on diabetes. She is a key part of the five-member diabetic education team at Bertrand Chaffee Hospital, which includes two dieticians, a nutritionist, a pharmacist, and Hebdon as the certified diabetic educator. The hospital hosts a monthly diabetic support group on the first Monday of each month. Diabetes education at BCH complements programs for metabolic syndrome, cardiac rehabilitation and Freedom from Smoking. For more information about the Diabetes Education Department at BCH, call (716) 592-2871 ext. 1203. The Bertrand Chaffee Hospital Imaging Department has upgraded the equipment used for magnetic resonance imaging, or MRI. This machine is housed in a mobile unit that is on-site on Mondays, Tuesdays and Wednesdays. The MRI test uses a magnetic field and radio waves to take images of organs and structures inside the body. MRI images can provide detailed information to assist referring physicians with diagnosis. MRI can be used in correlation with x-rays, ultrasounds or CT (computed tomography) scans. This test is used in emergency and family medicine, orthopedics, urology, gastroenterology, gynecology, oncology and neurology for providers to diagnose and treat muscle/tendon tears, fractures, tumors, blood vessel diseases, and/or infections. “This upgrade of equipment will provide improved image detail and a faster scan time for our patients,” said Imaging Department Manager Lisa Smith. Bertrand Chaffee Hospital sees about 1,000 patients annually for MRI tests. The MRI is part of a group of imaging services that includes ultrasound, bone density, x-rays, CT, digital mammography and nuclear medicine. For more information or to schedule an appointment, call (716) 592-8169. Bertrand Chaffee Hospital has announced that its Laboratory Services Department will be offering new, expanded outpatient service hours. Starting on August 1, 2015, the BCH lab will expand its hours to include Sunday mornings. This change was made in response to patient demand and the community’s support of local healthcare. The BCH Foundation funded the purchase of a new diathermy machine for the Rehabilitation Services (physical therapy) Department this spring. Funded with donations from community groups and individual donors, this equipment is an example of how directed, or restricted, gifts can make a difference for specific hospital and nursing home departments. What does diathermy do? Shortwave diathermy produces comforting deep heat in muscle tissues and is used when the clinician needs to provide deep heat to a larger area than normally covered by ultrasound. Having this option available for physical therapy patients means that they can receive certain types of treatments locally, without traveling long distances to other healthcare facilities. This is another example of how the BCH Foundation is supporting the hospital’s work to keep healthcare local, one project at a time! Contact Kara Kane at (716) 592-2871 ext. 1485 or kkane@bch-jbr.org for more information. The Bertrand Chaffee Hospital board of directors announced recent additions to its board and new officers after its annual meeting on June 23. Shawna Gugino of Springville and Jacqueline Dias of Gowanda joined the BCH board in May. Gugino is a special education administrator for the West Valley Central School District and is a speech language pathologist. She has a background in education, law enforcement and healthcare. She is a member of the Springville-Griffith Community Education Foundation board of directors and formerly served on the board for the Trading Post Community Care Center. Dias has worked in the human services field for 33 years, within administrative positions in quality assurance, training and counseling for local and regional non-profits, including those in the mental health and developmentally disabled services fields. She remains a member of the New York State Justice Center’s Surrogate Decision Making Committee for Persons with Special Needs and a member of the Springville Assembly of God, where she is one of three leaders working with its STARS program. Ms. Dias is a former member of the Erie County Mental Hygiene Community Service Board as well as a former executive officer of VAWNY (Volunteer Administrators of Western New York). She previously served on the Gowanda Free Library’s board of trustees. As it traditionally does at its June meeting, the board elected new officers, with Timothy Horner stepping down from his eight-year term as board president. Gary Eppolito of Springville will serve as the board president, with Dr. Robbin Hansen of Springville continuing as vice president. Karen Stanford of Sardinia will be secretary and Michael Boza of Arcade continues as treasurer. The BCH board includes 15 members who meet monthly as the governing body for Bertrand Chaffee Hospital and the Jennie B. Richmond Nursing Home. With funding provided by the BCH Foundation, BCH now has a portable ultrasound machine in our Emergency Department. This technology is a benefit for the patients – particularly trauma patients – who arrive at our ER. It gives our healthcare providers in the Emergency Department another, vital tool for assessment. The BCH Foundation Garden Party on May 28 brought about 100 people together to raise funds to bring this equipment to Bertrand Chaffee Hospital. With their support and donations from sponsors, this organization was able to help make that happen. The BCH Foundation funds capital improvements and equipment needs like this one for hospital departments and the Jennie B. Richmond Nursing Home. For more information about making a gift in support of a specific department, please contact Kara Kane at kkane@bch-jbr.org or (716) 592-2871 ext. 1485. A class of four students graduated from the Certified Nursing Aide program run by the Jennie B. Richmond Nursing Home on June 9. This six-week training gives individuals the skills and knowledge to work in long-term nursing and short-term rehabilitation facilities like the Jennie B. The facility runs this training throughout the year. For more information contact Suzanne Doherty, RN, BSN, in-service coordinator, at (716) 592-1289. Members of the Concord-Springville Senior Group presented a donation to the BCH Foundation on June 15 designated to go to the Rehabilitation Services Department and their equipment needs. Carl Isler, Al Flaig and Joan Barsalou met with BCH Foundation representatives and offered proceeds from their spring basket raffle in support of foundation activities. From left: BCH Foundation board members Grover Riefler and Stanley Handzlik, Director of Rehabilitation Services Mary Lou Wright, Carl Isler, Joan Barsalou, BCH CEO Nils Gunnersen, and BCH Foundation president Bill King. Members of the Cordelian Club presented a check to representatives of the BCH Foundation and the hospital on June 3 in the Memorial Garden. This contribution will go toward hospital and nursing home equipment. The Foundation is grateful to this group for committing funds from its annual dance to support their local healthcare facility. The Bertrand Chaffee Hospital Foundation held its annual meeting on May 4, where it re-elected its board officers to one-year terms and welcomed a new representative from the Jennie B. Richmond Nursing Home. Kathy Paszkiewicz, social services manager and discharge planner, was accepted as the new representative to the board from the Jennie B. Richmond Nursing Home. Also at its meeting, the Foundation approved grant requests for enhancements to the Memorial Garden and the Primary Care Center, and will fund equipment for the operating suites on the second floor. A scholarship request was approved for Anita Mosher, a nurse in the Emergency Department, as she continues her education. The Foundation continues its planning for the third annual Garden Party on May 28 at the Springville Country Club, honoring the memories of George Vasiliauskas and Teresa Kessler. Proceeds from that event will support the purchase of new portable ultrasound equipment in the Emergency Department. The Bertrand Chaffee Hospital Foundation will hold its third annual Garden Party fundraiser on Thursday, May 28 at the Springville Country Club. This year’s event is held in memory of Teresa Kessler and George Vasiliauskas. Teresa Kessler was a registered nurse for decades at BCH, and George Vasiliauskas held significant positions in the hospital administration, along with many community service roles. As a celebration and as a memorial tribute, the event’s proceeds will go toward portable ultrasound equipment for the Bertrand Chaffee Hospital Emergency Department. The event will run from 5 until 8 p.m., and the Springville Jazz Orchestra and Mike Nugent Entertainment will perform throughout the evening. The Garden Party began in 2013 as a way to honor the memories of Dr. Craig Wiede and Dr. Richard Nowak, two individuals who served as hospital board volunteers for many years. Last year’s event paid tribute to Dr. Clinton and Mary Strong, who were committed volunteers in this community and at the hospital. The Foundation’s role is to guide community support into visible and vital improvements for BCH and the Jennie B., and with this event, the foundation will be able to help bring new equipment into our ER for the benefit of the whole community. At a time when many rural communities are facing healthcare provider shortages, Bertrand Chaffee Hospital has been successful in recruiting highly qualified doctors, physician assistants and nurse practitioners to its Primary Care Center. BCH is announcing that as of June 2015, three local healthcare providers will join the Primary Care practice on the hospital’s third floor. Dr. William Wnuk, Melissa Fanton, RPA-C and Ken Osborn, PA will be seeing patients in the hospital’s expanding primary care practice as soon as June 1, 2015. Residents within the 525-square-mile service area of Bertrand Chaffee Hospital can access high quality, local healthcare through a growing number of primary care providers. “This important work of recruiting providers has been in direct response to a clear community demand – people want access to health services close to home, and they want to support their local hospital” said Nils Gunnersen, BCH CEO. As an example of this support, the BCH primary care center has seen patient volume more than double in the last 18 months. Dr. Wnuk earned his bachelor’s degree in biology from Canisius College and his doctorate in medicine at the State University of New York at Buffalo’s School of Medicine and Biomedical Sciences. He completed his residency in internal medicine-pediatrics at SUNY Buffalo, and is certified in cardiac stress testing, pediatric advanced life support and advanced cardiac life support. Dr. Wnuk and his family reside in Springville, and have been an integral part of the community. When a patient comes to BCH, a primary care provider may recommend lab tests, x-rays or other imaging services – perhaps a screening colonoscopy – as part of a routine checkup. These procedures can be done at Bertrand Chaffee Hospital’s facility. Patients who see, or are referred to, providers out of the area often navigate a complex, impersonal and intimidating system, which can be difficult for those with chronic health conditions or transportation concerns. Those patients then require additional travel to different locations far from home for those same procedures and tests. BCH has had an affiliation with Catholic Health since 2009 and Catholic Medical Partners (CMP) since 2013. This relationship has provided BCH patients with access to a larger network that values collaboration, while retaining the hospital’s independent governance. BCH, Catholic Health and CMP support a team-based, community model of healthcare where providers coordinate care through local offices. This is a contrast to other healthcare models that direct patients to centralized locations in urban areas for management of routine health conditions. Melissa Fanton specializes in family medicine, and has a master’s in physician assistant studies from Daemen College. She has been practicing as a physician assistant since 2006. Ken Osborn specializes in internal medicine, and earned his degree at Albany Medical College. He has been practicing as a physician assistant since 1987. Both Osborn and Fanton belong to the New York State Society of Physician Assistants and the American Academy of Physician Assistants, and they are certified through the National Commission on Certification of Physician Assistants. “As the closest hospital for more than 55,000 people in our region, we believe in the future of primary care in our rural area,” said Gunnersen. “The decision of Dr. Wnuk, Ms. Fanton and Mr. Osborn to join the Bertrand Chaffee Primary Care Center and to support local healthcare is a tremendous benefit for our patients, their families, and the community as a whole,” said Gunnersen. Patients who would like to be seen by providers at the BCH Primary Care Center will need to register as a patient and schedule an appointment at (716) 592-8140. The Bertrand Chaffee Hospital Foundation will dedicate its Memorial Garden in an event on Monday, May 4 at 3 p.m. Individuals, families, businesses and civic groups who contributed to the Foundation’s Memorial Brick project have been invited to this public event, and will join the Foundation board in viewing the completed Memorial Brick wall and celebrating the start of spring. The first Garden Party celebrated the memories of Dr. Wiede and local physician and hospital board member Dr. Richard Nowak, and Dr. Clinton and Mary Strong were honored in 2014. This year’s Garden Party on May 28 will remember Teresa Kessler and George Vasiliauskas for their service to Bertrand Chaffee Hospital. Registrations for the May 4 event are not required by responses are encouraged. Light refreshments will be available. Call Kara Kane at (716) 592-2871 ext. 1485 or email kkane@bch-jbr.org for more information. Bertrand Chaffee Hospital in Springville, NY has been designated a Lung Cancer Screening Center by the American College of Radiology (ACR) as of April 2015. The ACR Lung Cancer Screening Center designation is a voluntary program that recognizes facilities that have committed to practice safe, effective, diagnostic care for individuals at high risk for lung cancer. Bertrand Chaffee Hospital is one of about 65 facilities in New York State to achieve this designation. Lung cancer screening with low-dose computed tomography (CT) scans, and appropriate follow-up care, significantly reduces lung cancer deaths. Lung cancer is the nation’s leading cancer killer, taking the lives of more people each year than breast, colon and prostate cancers combined. Bertrand Chaffee Hospital has state-of-the-art computed tomography (CT) with ASiR dose reduction. Our Imaging Department encourages individuals who meet any of these risk factors to talk to their healthcare provider about recommended screenings and imaging studies. In addition to CT screenings, the BCH Imaging Department has ultrasound, MRI, bone density, X-ray, nuclear medicine and digital mammography technologies. Appointments can be made by calling (716) 592-8169. For more information about the Lung Cancer Screening Center designation, visit: acr.org/Quality-Safety/Lung-Cancer-Screening-Center. Bertrand Chaffee Hospital will host the American Lung Association’s (ALA) “Freedom from Smoking” program beginning on May 19. ALA-certified instructors will present this eight-session program on Tuesday evenings from 6 – 7:30 p.m. The program costs $80 and includes a workbook and CD. Registration is now open; to register call (716) 592-9643. This offering may be postponed to October if the registration quota is not met. Bertrand Chaffee Hospital’s ongoing community and patient education services includes smoking cessation programs and diabetic courses and support groups. A future session is scheduled for October 6-November 17. The BCH Women’s Association is sponsoring a Theme Basket Auction on Saturday, April 25 starting at 10 a.m. The event will be set up in the upstairs of Concord Town Hall in Springville. The drawing will take place at 11:30 a.m.
Join the ladies of the Women’s Association and see dozens of baskets on display. Proceeds from events coordinated by the Women’s Association go to support projects at the hospital and the Jennie B. Richmond Nursing Home. This organization has been instrumental in hospital expansion projects, facility improvements and equipment purchases throughout its history. In support of American Diabetes Association Alert Day® (Tuesday, March 24), Bertrand Chaffee Hospital encourages people to find out if they are at risk for type 2 diabetes. If left undiagnosed or untreated, diabetes can lead to serious health problems including heart disease, stroke, blindness, kidney disease, amputation, and even death. American Diabetes Association Alert Day, which is held every fourth Tuesday in March, is a “wake-up call” asking the American public to take the Diabetes Risk Test to find out if they are at risk for developing type 2 diabetes. This year, the Alert Day campaign will kick off on March 24 and continue through April 21 with the theme: “Take it. Share it. Step Out.” The Diabetes Risk Test is available online at http://bit.ly/bchdiabetes. Paper copies are also available at the BCH information desk. Nearly 26 million Americans have diabetes – including nearly one out of 10 adults in New York State. It is estimated that at least one out of four people with diabetes don’t know they have the disease, and nearly 79 million adults in the United States have prediabetes, a condition that increases their chances of developing type 2 diabetes. Other risk factors for type 2 diabetes include being overweight or obese, physically inactive, and over the age of 45. “All adults should know their risk for type 2 diabetes by talking to their family about their family history of diabetes, and talking to your healthcare provider about your risk factors,” said Kathleen Hebdon, RN, certified diabetic educator and quality control officer at Bertrand Chaffee Hospital. Studies have shown that type 2 diabetes can be prevented or delayed by losing a small amount of weight – 5 to 7 percent (10 to 14 pounds for a 200-pound person) – and becoming more active. Action steps include making healthy food choices and being active at least 30 minutes, five days a week. Bertrand Chaffee Hospital is accredited by the American Association of Diabetes Educators and offers an hour-long diabetes support group on the first Monday of each month at 6 p.m. Classes are available on healthy eating, taking medications, nutritional counseling, gestational diabetes and more. Contact (716) 592-9643 for more information. March is National Colorectal Cancer Awareness Month, and to continue its educational outreach, Bertrand Chaffee Hospital is providing the following information about colorectal cancer symptoms and screenings, along with news about an addition to the physicians who perform surgical procedures on our second floor. Colorectal cancer is a highly preventable cancer, yet it accounts for nearly 10 percent of cancer deaths in the United States. Signs and symptoms vary, but can include blood in your bowel movements, stomach pains or cramps that don’t go away, or unexplained weight loss. Screenings like colonoscopies can find precancerous polyps at their earliest stages, when they can be removed before turning into cancer. Screenings are recommended for adults over the age of 50. Your primary care provider may recommend screenings at an earlier age depending on family history. Gastroenterology is the medical specialty related to the digestive system, and BCH now has three physicians who are performing gastroenterological procedures like colonoscopies. Dr. J. Matthew Baker (Surgical Associates of SGI) and Dr. Michael Moore are accepting new patients for surgical and screening procedures, as is Dr. Alok D. Gupta, who is returning to practice at BCH. Dr. Gupta will have an office at 27 Franklin Street as of March 9. For more information about scheduling a colon screening, please contact the BCH Ambulatory Surgery Department at (716) 592-2871 ext. 1460. Remember: colorectal cancer can be preventable and survivable when caught early. Talk to your healthcare provider about which level of screening for colorectal cancer is right for you based on your age, family history and other risk factors. Based on the most recent data released on Medicare.gov’s Nursing Home Compare web site, the Jennie B. Richmond Nursing Home received a four-star rating based on its health inspection, staffing levels and quality measures. The 80-bed facility recently celebrated its 40th anniversary, and provides both long-term nursing care and short-term rehabilitation services, especially for patients who need a “bridge” from the hospital to their home after joint replacements, cardiac events and surgeries. Additional nursing home surveys and comparisons are available at www.medicare.gov/nursinghomecompare. Employees at Bertrand Chaffee Hospital and Jennie B. Richmond Nursing Home coordinated outfits for the annual “Go Red for Women” day to raise awareness of heart disease and stroke in women. This picture shows a small selection of the many associates throughout BCH and JBR who wore red on Friday, February 6. This activity was part of American Heart Month, which encourages people to know their risk for heart disease and stroke, and to talk to their doctors and healthcare professionals about what they can do to reduce their risk. Cordelian Club members, friends and community members braved a chilly evening to support BCH at the Club’s annual dance. The Springville Volunteer Fire Hall was transformed into a Valentine’s-themed space, and a DJ filled the air with danceable music the whole night. Many thanks to the 30 ladies of the Cordelian Club who volunteered their time and talent to continue such an entertaining event for the community. Bertrand Chaffee Hospital will host the American Lung Association’s (ALA) “Freedom from Smoking” program beginning on February 17. ALA-certified instructors will present this eight-session program on Tuesday evenings from 6 – 7:30 p.m. through March 31. The program costs $80 and includes a workbook and CD. Registration is now open; to register call (716) 592-9643. Future sessions are scheduled for May 19-June 30 and October 6-November 17 in 2015. According to the Research Center for Stroke & Heart Disease of the Jacobs Neurological Institute, Erie County residents experience 33 percent more heart disease than the average U.S. citizen. The risk factors that can contribute to stroke and heart disease, including high blood pressure and being overweight, are elevated in WNY. To prevent heart disease and increase awareness of its effects, Bertrand Chaffee Hospital is proudly recognizing American Heart Month by offering our community the following information about heart health. Get active! Coordinate a quick walk at lunchtime with your office or a group of neighbors. Research continues to show that walking and physical activity play an important role in maintaining and improving health. Watch your weight by making healthy food choices, such as substituting spices for salt, or fresh vegetables or fruit instead of baked goods. Try out a new recipe that uses fresh vegetables and whole grains instead of fats and refined sugars. Control your cholesterol and blood pressure in consultation with your doctor. Quit smoking and keep yourself, your children and your grandchildren away from secondhand smoking. Join with our BCH and JBR staff on Friday, February 6 as we mark “Go Red for Women” day, to raise awareness about women and heart disease. The Cordelian Club will hold its annual dance on Saturday, February 7 from 8 p.m.-midnight at the Springville Fire Hall. With a Valentine’s theme, musical entertainment will be provided by DJ Rick Manzone. The dance includes hors d’oeuvres and beverages, and will feature raffles for baskets, a stocked wine refrigerator, and a poker table topped with a tower of beer; you must be 21 years or older to attend. Since 2002, the Cordelian Club has raised more than $60,000 in support of projects at Bertrand Chaffee Hospital, including the expansion of the emergency department, the installation of a digital mammography machine and other recent equipment purchases. The Club began with a group of 22 ladies in 1937, and this total does not include the tens of thousands that the group has contributed through its history. Tickets are $35 and available at Bertrand Chaffee Hospital, Anything Printed, any Cordelian Club member, or at the door. As in past years, the dance will benefit Bertrand Chaffee Hospital. Bertrand Chaffee Hospital will coordinate monthly diabetic support group meetings for Type I and Type II diabetics and their loved ones as part of its community education initiative. Dr. Edwin Heidelberger joins BCH Primary Care Center! Dr. Edwin Heidelberger began seeing patients in the Primary Care Center in December 2013 and is still accepting new patients. He obtained his medical degree from the State University of New York at Buffalo School of Medicine and Biomedical Sciences concurrent with a Ph.D. in Physiology. After completing a combined residency in Internal Medicine and Pediatrics at the State University of New York at Buffalo he was Board Certified in Pediatrics and Internal Medicine. A resident of the Springville community for almost 20 years, Dr. Heidelberger has served on Bertrand Chaffee’s Board of Directors and now returns to his rural primary care roots to serve as Bertrand Chaffee Hospital’s Vice President of Medical Affairs. James Urgo, a nurse practioner specializing in Family Practice, began seeing patients in the Bertrand Chaffee Hospital Primary Care Center on Monday, October 7th. He welcomes his current patients of Springville Primary Care, and will be collaborating with Dr. Edwin Heidelberger at the Center. James has been married to his wife Joanne for 34 years. They have 4 children and 3 grandchildren, with one on the way. James enjoys spending time with his family and ministering at a local church in Hamburg. Bertrand Chaffee Hospital, of Springville, NY, was recently named an Accredited Diabetes Education site by the American Association of Diabetes Educators (AADE). This will enhance local residents’ access to critical diabetes education services. Diabetes education is a collaborative process through which people with or at risk for diabetes gain the knowledge and skills needed to modify behavior and successfully self-manage the disease and its related conditions. The classes are presented by a team of diabetes educators from various clinical fields. The Bertrand Chaffee Hospital Diabetes Education Team members include Michael Barnett – Doctor of Pharmacy, Elizabeth Cappola – Registered Dietetic Technician, Nancy Fischer – Dietetic Technician, Kathleen Hebdon, RN – Certified Nurse Patient Educator, and Kyle Schwann – Certified Dietician and Nutritionist. AADE Diabetes Education and Training entails five 2-hour classes; Healthy Eating, Being Active, Monitoring & Reducing Risk Factors, Taking Medications, and Healthy Coping & Problem Solving. In addition, each client is entitled to three hours of individualized nutritional counseling. Bertrand Chaffee Hospital, located at 224 East Main Street, Springville, NY, will be offering diabetes education classes several times throughout the year. The AADE accreditation provides the ability to accept most major insurances, including Medicare and Medicaid. Clients can contact the department manager – Kathleen M. Hebdon, at (716) 592-9643 for more information and about how to enroll. The Thursday before, it was snowing, The Thursday after, a torrential rain storm. But on Thursday May 30th, the sun was shining over the first annual Garden Party to benefit the exterior renovation project and Memorial Garden at Bertrand Chaffee Hospital. Nearly 200 people attended the event at the Springville Country Club, and enjoyed the sounds of the Springville Jazz Orchestra while raising $12,000 for our Hospital and Nursing Home. Construction for the Memorial Garden, which will be highlighting the front entrance area of the hospital parking and entrance, will begin in the next few weeks. The goal is to have the first phase of the project completed in August. The Memorial Garden has been crafted by landscape designer Connie Lydon, who has family ties in the Springville area. Lydon, and her father George Schichtel, have worked with hospital administration to create a comfortable and lasting tribute. There were several local sponsors for the Garden Party, and additional benefactors have come forward since the event. Future plans also include opportunities to purchase memory stones for the memorial walls and an expansion into the entrance area of the Jennie B. Richmond Nursing Home. The Springville Area Chamber of Commerce held its annual gala on April 27, to recognize Grover Riefler as the citizen of the year, Oasis Bed and Breakfast as the outstanding business of the year and Bertrand Chaffee Hospital as the organization of the year. Nils Gunnersen, CEO of Bertrand Chaffee Hospital stated as he received the award “As an organization, the hospital is a sum of many parts, recognizing members of his staff and the board of directors, as individuals who have helped the hospital along the way. We offer lots of services with the hope and the intent that the community supports us being here. We are part of the community and hope they take advantage of us as a resource.” Nils continued by saying that he is pleased to work with so many wonderful people to keep the hospital open for Springville and the surrounding community. Effective April 22, 2013 the National Committee for Quality Assurance (NCQA) recognized the Bertrand Chaffee Hospital Primary Care Center as a Patient Centered Medical Home (PCMH) – Level 3, which is the highest designation that can be awarded. “The process the Bertrand Chaffee Primary Care Center team has worked through to achieve this prestigious award was very important to our community. We have raised the bar for Primary Care.” says Darlene Schrantz, Director of Patient Care Services. A Patient Centered Medical Home is not a building, an office or a house. It is a program for delivering care that places the patient at the center of everything we do. A Patient Centered Medical Home integrates patients as active participants in their own health and well-being. Patients are cared for by a physician who leads the medical team that coordinates all aspects of preventive, acute and chronic care need of patients. Using Evidence Based Guidelines we are able to focus on the care and services to help patients achieve their own goals. With combination and patient involvement we work together to make decisions that are best for the patients. Coordinating Care for specific disease processes will decrease the time patients spend in hospitals. It will also help cut down on patients being readmitted to hospitals by closely following and monitoring patients after their visits to hospitals or Emergency Rooms. Another part of the PCMH is to educate the patients and hold them accountable for their own health care. By getting the patients more involved, it creates a better provider/patient relationship. As part of the PCMH we encourage patients to communicate with their clinical team via electronic messaging. We have by implemented a Patient Portal through our electronic health record that allows patients to reach out to their clinical staff for refills, request appointments and referrals as well as, view test results. It can be much more convenient for the patient and it also increases the ability to communicate with our staff. This is a great accomplishment for Bertrand Chaffee Hospital and its Primary Care Center that will advance the health of our community!